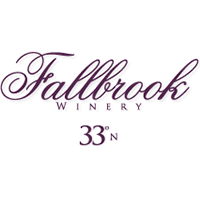 The winery is located on the northern 33rd parallel. Our first vintage of the Estate wines was released 2006. Our signature Bordeaux style red blend by the winemaker and is in reference to the barrel designation and yeast preference used in the wineâ€™s production. Sangiovese grapes were planted on the hillside vineyard in the spring of 2005 and an additional three acres of Syrah, one acre of Grenache and 4 acres of Sauvignon Blanc were planted in 2008.